Best 8 free service allows you to edit videos or photos. Subsequently, you can share your work on Facebook, Twitter. Photobucket : this service allows you to edit videos or photos. Subsequently, you can share your work on Facebook, Twitter. Videotoolbox : this site is capable of editing a video weighing up to 600 MB. Easy to use and accessible to everyone, you must first register on the service interface and select your video To access the various tools. YouTube : Google has set up a small video editor that allows you to make basic changes. Added title, music, transitions, photos, etc. Pixorial : The creation and editing tools are presented in an intuitive user interface. To create a video in Pixorial, you can upload photos and video footage brutes.Vous can insert transitions, add sound and text. WeVideo : a collaborative online video creation tool . You can invite other users to create and edit a project. 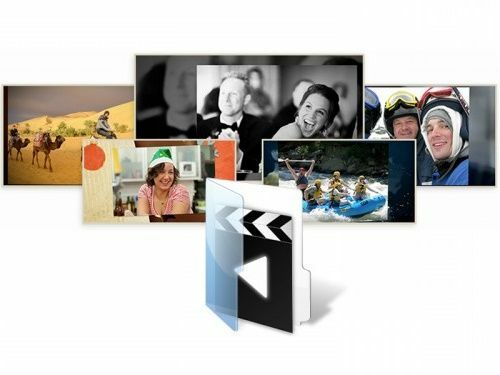 WeVideo saves all your projects in your Google Drive account. Wideo : online service that creates an animated video. Wideo accepts drag and drop and each item can be reused as many times as you like. Text, cartoons, or your own images and audio files can be used. Animoto : send photos or videos from Facebook, Instagram, Picasa, Flickr or others. Select a video style, music and some keywords to have a beautiful rendering. Weavly : provides a simple interface with drag and drop. You can mix video and audio from YouTube, Vine, and SoundCloud. But also animated GIFs from Loopcam, Tumblr, and Imgur. What free online services do you use to create and edit a video?